Set includes 2 Solid velour beach towels featuring "Mr." or "Mrs." on each towel along with an anchor and last name and special date. 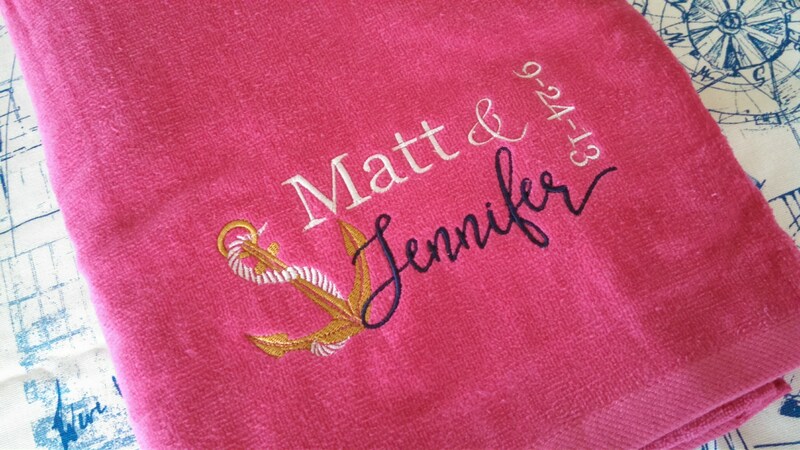 You choose towel colors and embroidery colors! The default for the design placement will be centered on the lower edge, however, if you would rather it along the upper edge, just add the request in the comment section when ordering and supplying surname. 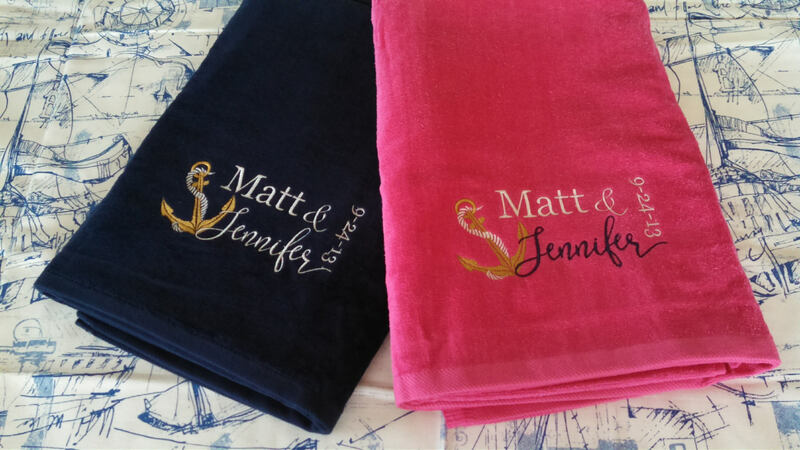 I purchased these towels for part of a wedding shower gift and they loved them! I wanted them slightly different than the sample and I was very happy with the design choices I was sent and how fast the response was. I also received them fast.